NJDOT in conjunction with the New Jersey Turnpike Authority and New Jersey State Police, built a centralized Statewide Traffic Management Center (STMC) to increase communication and coordination between agencies. Chief among the challenges in this design was connecting this new facility to the existing legacy ITS devices located along roadways across New Jersey. AEA represented NJDOT during construction commissioning of STMC Woodbridge. Responsible for witnessing testing, documentation and acceptance of several NJDOT ITS systems. AEA was responsible for planning, scoping, designing and supervising the relocation of TOC Elmwood Park operations to STMC Woodbridge. AEA utilized a System’s Engineering approach and NJ’s ITS Architecture to develop the functional requirements and technological alternatives to select a multi-cast video technology. AEA helped NJDOT plan and design remote control of various ITS sub systems including DMS, HAR, and Video Detection, from the new STMC. 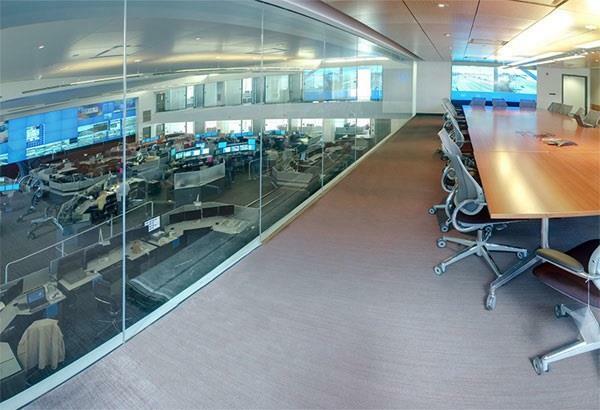 The new STMC was connected to the NJDOT’s existing traffic operations centers through a DWDM/CWDM fiber network. AEA planned and performed testing of the sub systems, along with various design calculations including band-width and video storage capacity computations. The digital video sub-system integrates several analog systems, and allows operators in Woodbridge to view and control 250+ cameras located across the state of New Jersey. During design and construction AEA served as NJDOT’s technical advisor on the multi-discipline construction team. AEA managed and witnessed the sub-system testing including the CCTV digital subsystem and DMS subsystem. Total construction cost was approximately $24M.